This protective cover has been helping to stop false fire alarms around the world for more than 30 years, without restricting legitimate alarms. 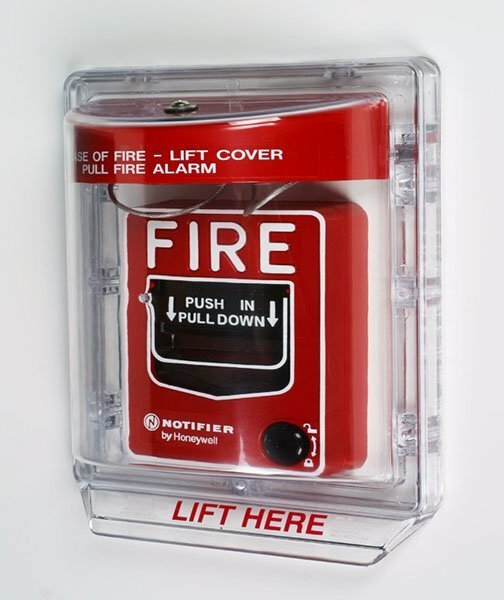 This protective cover has been helping to stop false fire alarms around the world for more than 30 years, without restricting legitimate alarms. All models offer excellent protection against physical damage (both accidental and intentional) and several against severe environments both inside and out. It is ideal for schools, colleges, hospitals, nursing homes, stores, hotels and public buildings of almost every kind where there is a threat of false alarms. Stopper II consists of a clear, tamperproof, tough polycarbonate shield and frame, but the line includes models with the option of a piezo horn, spacer, Form “C” dry relay contact and gaskets. The cover accommodates most manual pull stations. When the Stopper II with horn is lifted to gain access to the protected alarm, a piercing self-contained 95 or 105 dB warning horn (at one foot) sounds. Immediate attention is drawn to the area and a prankster will either run or be caught. The cover is connected to the frame by a cable. When the cover is lifted, it drops off of the frame and a horn will sound (models with horn) until the cover is snapped back onto the frame or for the life of the battery. Proven effective for more than 30 years in helping stop false fire alarms without restricting legitimate alarms. Can be used as a guard against physical damage to a manual pull station, with or without the optional warning horn. Protect devices such as EPOs, call boxes, telephones and emergency shutdowns by changing the color and messaging. Larger sizes and surface mounted pull stations accommodated with STI-3100 conduit spacer. Weather models have closed cell gaskets. The Stopper II design is a registered trademark of Safety Technology International, Inc.
UL Listed to U.S. and Canadian safety standards (also for custom labeling). 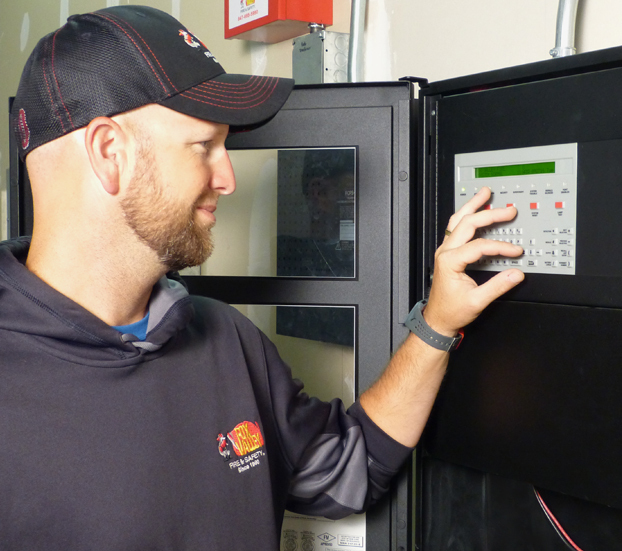 When covering a pull station outside, UL requires stations to be listed for outdoor use. Power source is a 9V DC alkaline battery included on standard Stopper II (remote powered unit available). “RC” models include one Form “C” dry relay contact and are capable of operating from 9-24V DC remote power or 9V DC battery power. Optional horn has a choice of 95 or 105 dB at one foot. 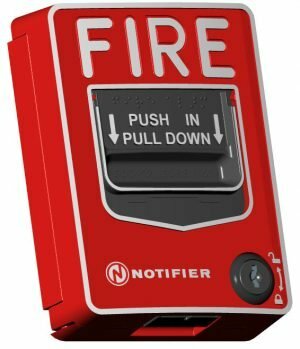 Standard red units have “In Case of Fire…” label unless specified with “no label” or “custom label” (extra charge for custom label). Horn housing is available in red, blue, green or yellow with optional custom labeling.